If you can push a button on a food processor, you can make this delicious dip in 10 minutes flat. And you’ll love it. Don’t get me wrong—I love, love, love smoked salmon dip. But I wanted to see if I could make something even simpler than that, a dip made completely in the food processor and totally with easy-to-find ingredients. This is the result. And you know what? It’s a winner. Why? Because all you do is add the ingredients to the food processor and push a button. Easy peasy. Because sometimes smoked salmon isn’t available at my regular supermarket—but canned salmon always is. I deliberately kept the ingredients simple so the recipe would be quick and easy to make. But like my smoked salmon and smoked trout dips, this one is pretty flexible. You could add herbs, like parsley or dill. You could use red onion, white onion, or chives instead of the scallion. Or horseradish instead of the hot sauce. If you’d like a little texture in the dip, you could add only half of the salmon to the food processor, then flake the rest and stir it in by hand. One thing I should confess, though. 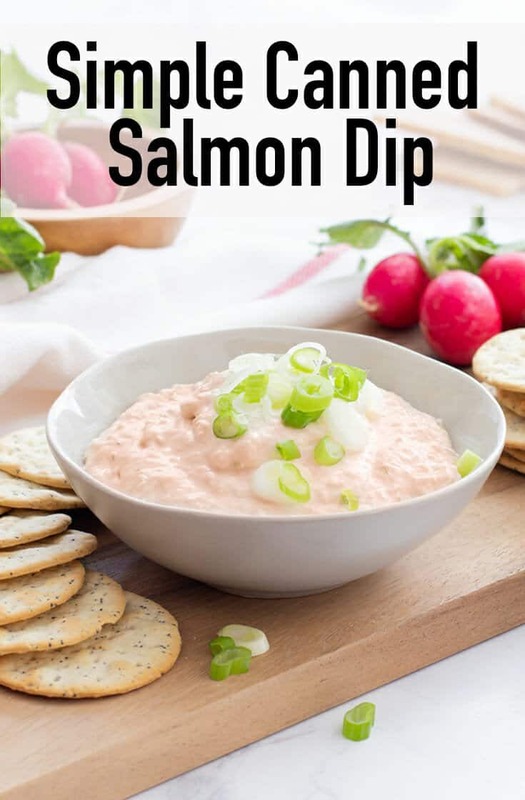 Even though this post is called “Simple Canned Salmon Dip,” I prefer to use pouch salmon because you don’t have to drain it like you do with canned. But either works. Put the salmon, cream cheese, sour cream, lemon juice, salt, hot sauce, and chopped scallions in a food processor and pulse until smooth. Add more lemon juice, salt, and hot sauce to taste. Transfer to a serving dish and garnish with the sliced scallions. Serve immediately or cover and refrigerate for up to about a day (ideally return it to room temperature before serving).